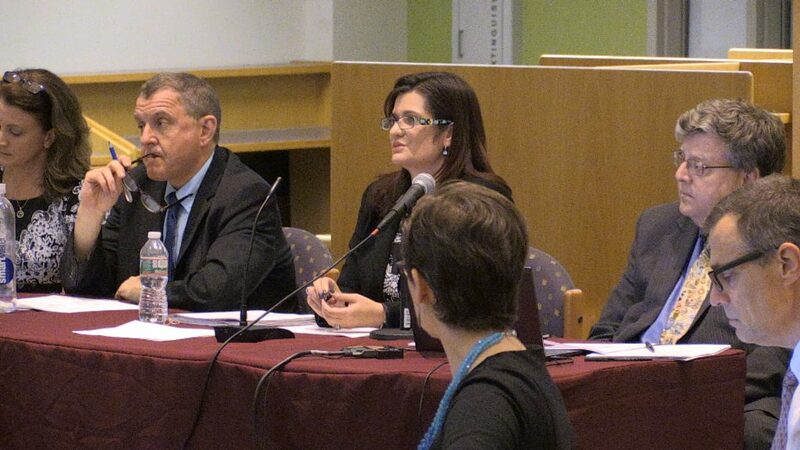 The Finance Committee (FinCom) hosted the fall Financial Forum on October 10. 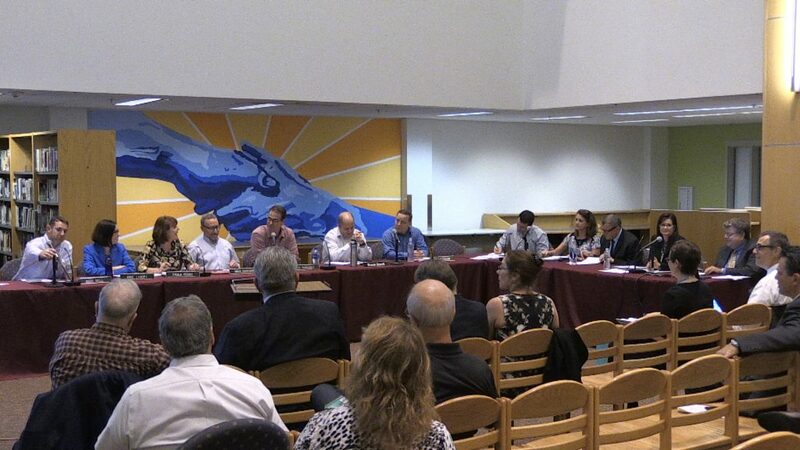 This forum provided information and direction for those who will be assembling the Fiscal Year 2020 budget for the town government, including the Select Board and School Committee. Town Accountant Sharon Angstrom began the meeting by reporting on the final FY2018 budget numbers. Revenue for FY2018 was $2.2 million ahead of projections. This was primarily a result of above average excise tax receipts ($288,000), added property tax collection ($269,000), and higher than expected interest income on investments ($600,000). Expenditures for FY2018 were also $1.8 million under budget due to unfilled positions and the associated benefits costs. As a result of these numbers, Town Meeting in November will be asked to adjust the FY2019 budget based on new projections. The line item for excise tax receipts will be increased by $100,000, new property tax growth by $289,700, and interest income by $100,000. The town’s free cash account balanced at $10.59 million at the end of FY2018, with the balance of all reserve funds at $12.76 million. This is 12.7% of revenues, well above the FinCom policy of maintaining a reserve fund of 7.7% of revenues. 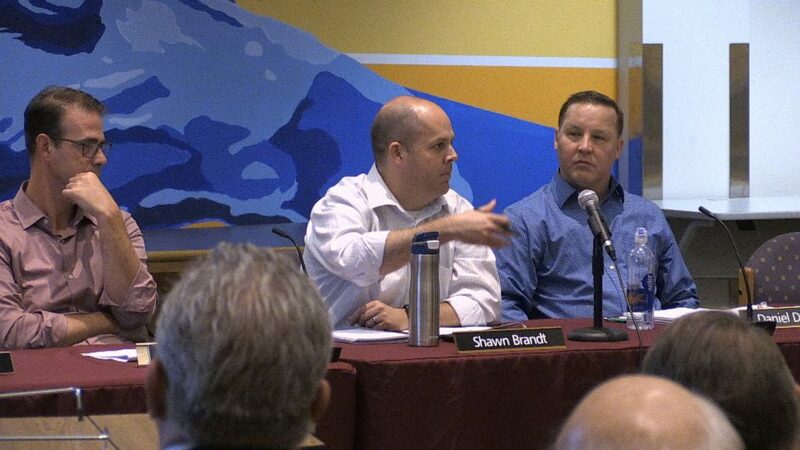 Town Manager Robert LeLacheur recommended that FinCom approve the use of $1 million from free cash to balance the FY2020 budget, which would allow that budget to grow at 3% over FY2019. LeLacheur also detailed plans for capital expenditures for FY2020. He suggested that the highest priority was $4.5 million for building security. 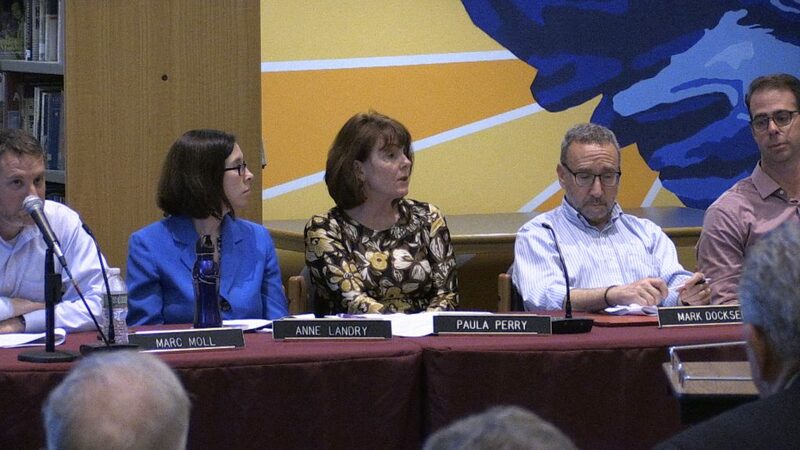 Reading’s legislative delegation had informed the Select Board on October 2 that there was a $4 million earmark for security in the state’s bond issue, but that the timing for receiving the money was at the discretion of the governor. LeLacheur also discussed the need for replacement of the Turf 2 field at the high school which, with lights, would cost around $2.5 million. He also suggested that lighting the remaining fields in the Birch Meadow complex would cost around $1.4 million and that doing both Birch Meadow projects at the same time could save a few hundred thousand dollars. These projects could all be funded through borrowing under the current tax levy. LeLacheur continued to suggest that Town Meeting is asked to authorize both the security and the Birch Meadow projects, giving the town the flexibility to see if the state money is realized in this fiscal year. Much discussion ensued regarding the safety issues at Turf 2 and what a timeline for a replacement would look like. Concerns were also raised about doing any work at Turf 2 or any part of the Birch Meadow complex until the Birch Meadow Committee completed its work and offered its recommendations. LeLacheur offered that $200,000 in the FY2019 budget could be redirected to do design work for Turf 2 so that it was ready to be done when Town Meeting authorized the funding. FinCom will discuss the change at a meeting scheduled for 6:30 pm on the first night of November Town Meeting. LeLacheur concluded the discussion of the FY2020 capital budget mentioning an elementary school enrollment study to help direct plans for space needs at the schools. He also mentioned future projects such as a tri-town Department of Public Works garage, shared with Wakefield and Lynnfield, a new senior/community center, new turf at the RMHS stadium, and new floors and bleachers in the Hawkes Field House. FinCom voted 7-1 to approve the use of $1 million from free cash to be used to balance the FY2020 budget. 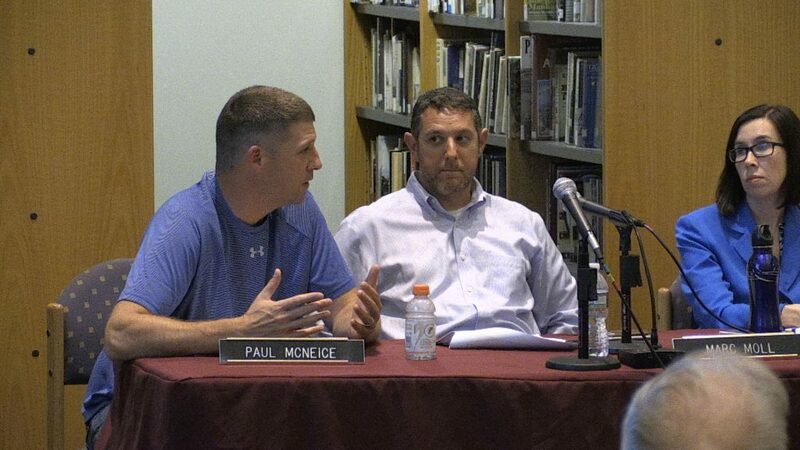 It voted 8-0 to recommend each of the seven financially related articles for November town meeting. FinCom adjourned at 10:25 pm.